The dogbane family, Apocynaceae, comes in many shapes, sizes, and lifestyles. From the open-field milkweeds we are most familiar with here in North America to the cactus-like Stapeliads of South Africa, it would seem that there is no end to the adaptive abilities of this family. Being an avid gardener both indoors and out, the diversity of Apocynaceae means that I can be surrounded by these plants year round. My endless quest to grow new and interesting houseplants was how I first came to know a genus within the family that I find quite fascinating. 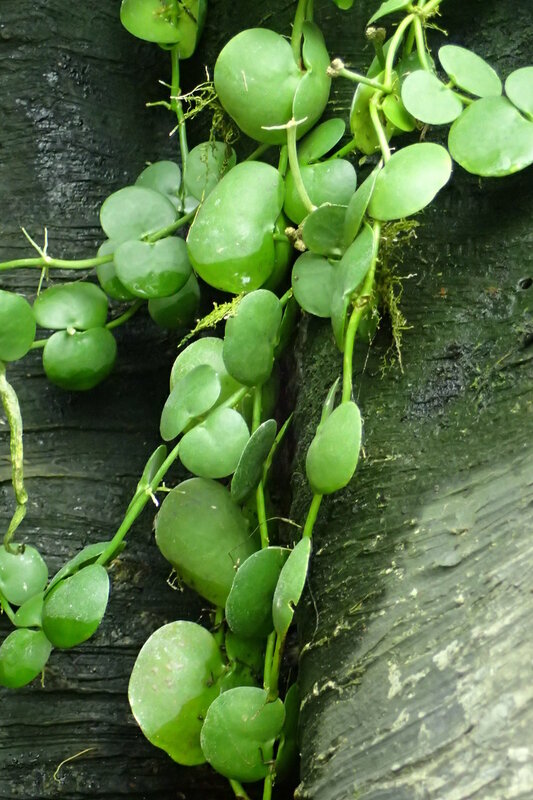 Today I would like to briefly introduce you to the Dischidia vines. Bullate leaves help the vine clasp to the tree as well as house ant colonies. The genus Dischidia is native to tropical regions of China. Like its sister genus Hoya, these plants grow as epiphytic vines throughout the canopy of warm, humid forests. Though they are known quite well among those who enjoy collecting horticultural curiosities, Dischidia as a whole is relatively understudied. These odd vines do not attach themselves to trees via spines, adhesive pads, or tendrils. Instead, they utilize their imbricated leaves to grasp the bark of the trunks and branches they live upon. One thing we do know about this genus is that most species specialize in growing out of arboreal ant nests. Ant gardens, as they are referred to, offer a nutrient rich substrate for a variety of epiphytic plants around the world. What's more, the ants will visciously defend their nests and thus any plants growing within. Some species of Dischidia take this relationship with ants to another level. A handful of species including D. rafflesiana, D. complex, D. major, and D. vidalii produce what are called "bullate leaves." These leaves start out like any other leaf but after a while the edges stop growing. This causes the middle of the leaf to swell up like a blister. The edges then curl over and form a hollow chamber with a small entrance hole. These leaves are ant domatia and ant colonies quickly set up shop within the chambers. This provides ample defense for the plant but the relationship goes a little deeper. The plants produce a series of roots that crisscross the inside of the leaf chamber. As ant detritus builds up inside, the roots begin to extract nutrients. This is highly beneficial for an epiphytic plant as nutrients are often in short supply up in the canopy. In effect, the ants are paying rent in return for a place to live. Growing these plants can take some time but the payoff is worth. They are fascinating to observe and certainly offer quite a conversation piece as guests marvel at their strange form. http://bit.ly/1PjmVkrhttp://bit.ly/1PjmVkrI will never take peace lilies for granted again. As many of you reading this can empathize, I have up until this point only encountered these plants as sad looking additions to a dark corner of the home or office. 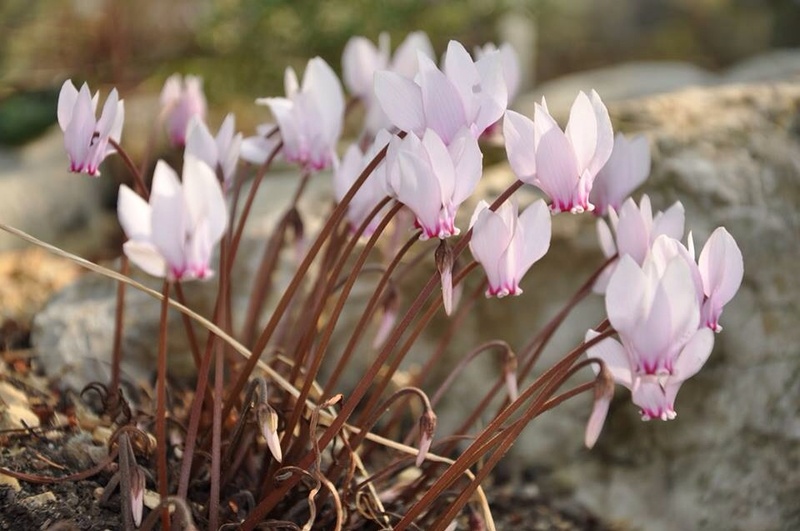 Their ease of care has earned them the honor of living among even the least botanically inclined. Though we call them peace lilies, these plants are not lilies at all. They actually belong to the family Araceae, which makes them distant relatives of plants like Jack-in-the-pulpit. All peace lilies belong in the genus Spathiphyllum. There are something like 40 different species that grow in tropical regions of Central and South America as well as southeastern Asia. As horticultural specimens, they aren't difficult. Modest light and the occasional watering are about all these plants need. Like all house plants though, I have wondered about how these plants behave in the wild. During a trip to Costa Rica, I was very fortunate to observe some interesting behavior. Wild growing Spathiphyllum inflorescences have a scent. You would never know this based on the plants you find for sale at the local nursery. Like many roses, it would seem the their natural floral scent has largely been bred out of captive individuals. This scent is obviously meant to attract pollinators, however, the type of pollinators being targeted came as quite a surprise. As I looked over a large patch of flowering Spathiphyllum, I was flabbergasted when I realized just what was visiting the spadix - Euglossine bees! Euglossine bees are collectively referred to as orchid bees (http://bit.ly/1hUaChe). This is because the males require specific scent compounds to attract females. They do not produce these compounds naturally. Instead, they must collect them from the flowers of orchids such as Stanhopea, Gongora, and Catasetum. Well, as it turns out, orchid bees also collect scent from the spadix of Spathiphyllum blooms! The whole while I was watching this group of plants, multiple Euglossine bees paid a visit. What was most exciting is that many of the bees had orchid pollinia stuck to their backs. This was evolutionary ecology in progress and I was witnessing it first hand! Its a real shame that we have altered captive Spathiphyllum in such a way that they do not produce scent. The smell is heavenly to say the least. Peat moss is not a sustainable option for gardening on any level. No matter how good of a product it may be for anyone, the mining of peat moss is an incredibly destructive industry that is harming not only sensitive habitat but some of our largest carbon stores on the planet. Now, before you think I'm all up on my high horse about this subject, please note that I still use it in some of my gardening projects. It is hard not to. I am writing this post as a cry for help in order to get a conversation going about some sustainable and effective alternatives to this "blood soil." Peat is the product of the natural processes that bogs go through. Sphagnum moss, the main species of a bog ecosystem, and other plant materials don't decompose in bogs. Instead they build up and compact to form what we know as peat moss. For centuries, this has been harvested and dried as a source of heat and energy for native peoples. Today, because of its moisture holding abilities and rather sterile, acidic nature, it is heavily mined for the horticultural trade. Most of the peat sold comes from Canada. Canadian companies mine their bog habitats for this product. The Canadian peat companies will tell you that it is a renewable resource and that mitigation offsets any damage being done. This is a bold faced lie. Bogs are incredibly sensitive habitats. They are the product of thousands of years of very particular natural processes. They hardly regenerate themselves if at all. Mitigation efforts are also pointless. Bogs that have been "mitigated" do not return to their fully functioning state ecologically. To make matters worse, the industry loves to claim that there are no alternatives to peat moss out there. This is simply not true. I have researched some interesting sustainable alternatives to peat moss. One product is coconut coir "dust." This product comes from ground up coconut husks. From what I have read, it is also a much more sustainable option. Now, a few things must be said about the efficacy of this material. First off it is naturally high in salt. Most brands must be thoroughly washed before using. I have gotten around this issue by purchasing coconut coir used for amphibian and reptile bedding. It comes in compact bricks and it has the lowest salt levels on the market. Also, it is really low in nutrient value. I do some water gardening so I have a very mature fish tank running and using aquarium water seems to solve this issue for me. Adding coffee grounds can mitigate this as well. I have heard mixed reviews about coir and it is not necessarily the best choice for all types of seeds but it works quite well for me and in the last 4 growing seasons I have finally switched to using coir for germination. By far my favorite media to use is good compost. Having ready access to a big pile goes a long way. Because compost can be very rich and heavy, I like to mix in wood chips and gravel. This not only weighs my pots down and keeps them from falling over, it increases the amount of roots my plants produce considerably. Every time a root comes into contact with a piece of gravel or wood chip, it branches off hundreds of tiny root hairs, thus increasing the surface area available for water and nutrient absorption. Since I switched over to mixing my own soil using compost, I have noticed my plants are more vigorous and are flowering more often. Another option I have come across is pine bark. I have not used this but some research papers rank it as good as peat moss in seed germination trials. Has anyone here tried this? If anyone has an opinion on this subject or better yet, first hand experience, PLEASE chime in. If we can't make growing plants a sustainable process then what good are we as a species? Finally, does it make sense to destroy one habitat to foster a handful of species in your back yard? Plant nurseries are a dangerous place for me. Well, not really me so much as my wallet. I am always on the lookout for new and interesting plant friends to bring home. I recently visited a local nursery that has 4 hoop houses worth of plants to ogle. As I was walking the crowded alleyways between row after row of botanical treasures, something tucked away in a back corner caught my eye. There was a stark juxtaposition between burgundy and deep green that I simply could not ignore. I tip toed around a variety of succulents, dracaena, and gesneriads to investigate this colorful curiosity. As I approached this odd little plant I realized there was a long spike jutting out of the top. Ah, so this was some sort of peperomia. At this point I could see why it was kept among succulents. The leaves of this peperomia are quite succulent. Like fat little canoes, the leaves appeared to have green window-like surfaces that quickly gave way to a red bilge. This was truly unique. I had to have it. Despite the fact that it was the only one of its kind, I got it for a steal. It wasn't planted very well so I had to be quite careful getting it home. Mixing up soil can be fun, especially when you know the plant you are catering to. This was not one of those cases. 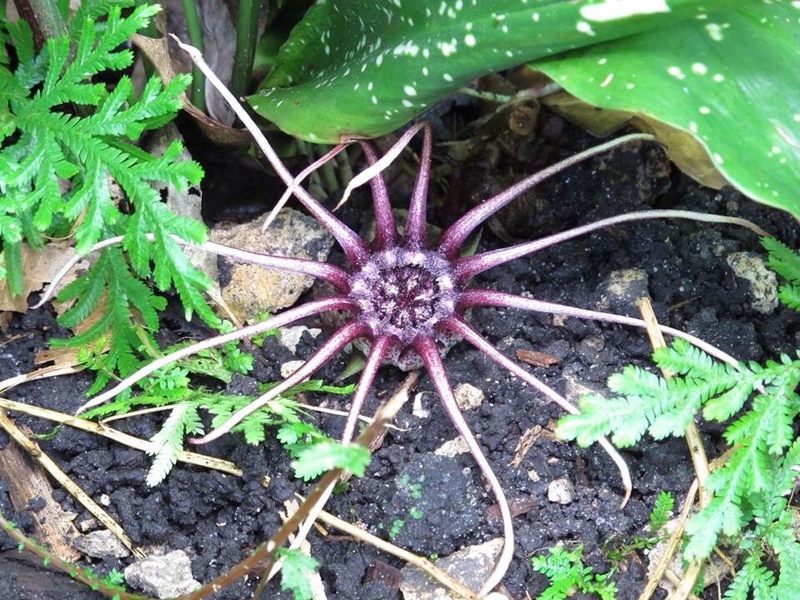 Regardless, the succulent nature of the plant hinted at a need for a well drained mix. Three parts gravel to one part compost should do the trick. 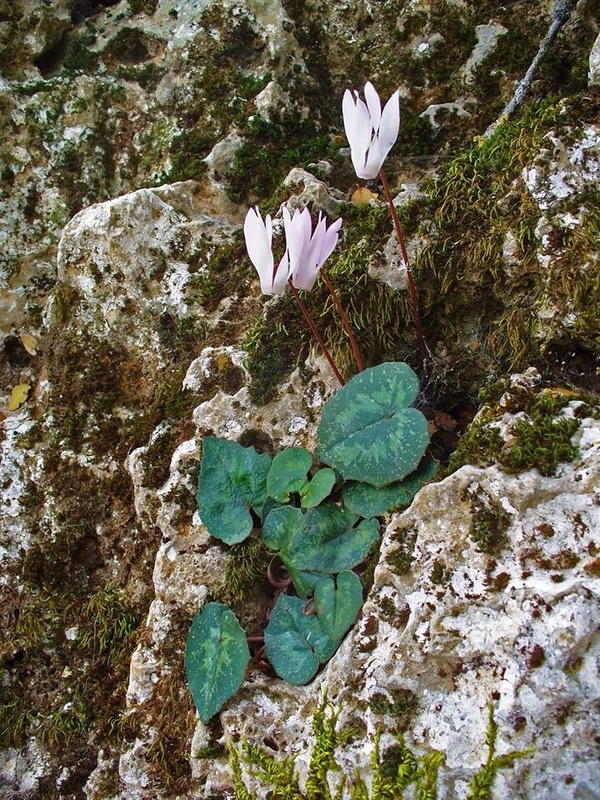 Despite its size, the plant had an under-developed root system. This explains why it was so floppy on the ride home. Once it was in its new pot, I had to go about picking out a perfect spot on the shelf. I knew that plants like Crassulas and aloes turn colors under high light so I figured this would be my best bet at preserving the beauty of this specimen. I watered it and sat back to enjoy its beauty among all the other plants in the collection. Later that day I began noticing an odd smell. It wasn't necessarily offensive yet it wasn't easily ignored either. It was also restricted to one area near the plant shelf. My nose didn't reveal the source. I put shoes outside and checked the area for anything that may be starting to rot. Nothing. After a while I must have gotten used to it and after a couple hours I forgot about it. Days went by and every once in a while the smell would creep its way into my nose. I was very confused and yet too busy to be serious about locating the source. I like to show off my plants so I made sure to draw attention to this new peperomia any time someone dropped by for a visit. It seemed to resonate well with friends. After a series of inquiries into this plants identity I decided to do my homework. Simply referring to it as a mystery peperomia wasn't satisfying enough. Luckily the internet exists. 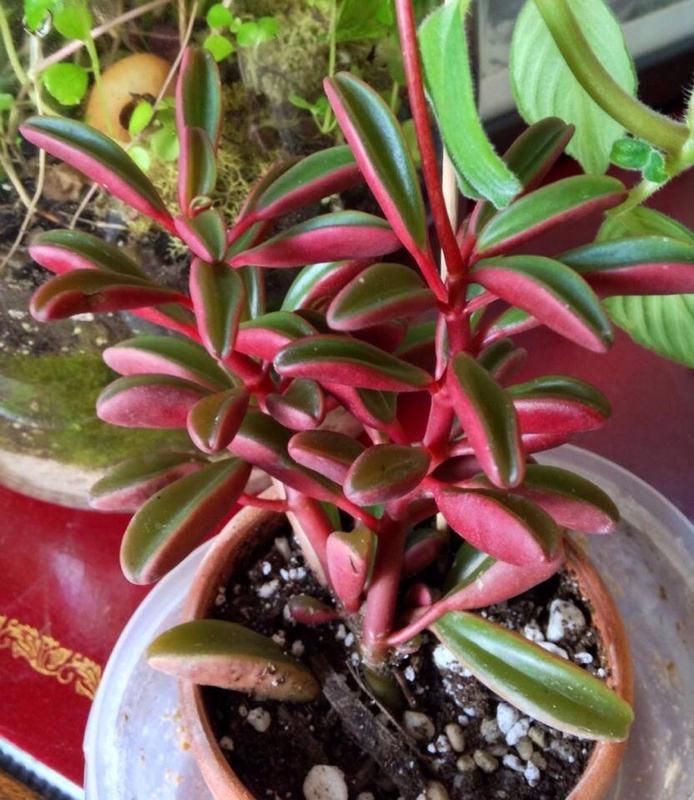 A quick image search for "succulent red peperomia" gave me my answer. My beautiful plant friend was none other than Peperomia graveolens, an endemic of mountainous forests in Ecuador. To my surprise, this is not a species that enjoys a lot of sun. The burgundy undersides are thought to assist the plant in soaking up as much sunlight as possible as it ekes out a living under the canopy. I guess I was going to have to move this plant to a lower shelf. The good news is that the soil mixture I made was going to work. There was no need to disturb the meager root system any more than I already had. Apparently this species is only known from two wild populations. All of the plants in cultivation are descendants of collections made in 1973 by some German botanists. This is truly a special plant! As I was reading various plant care websites, a recurring theme in the writing caught my attention. The inflorescence of this species is said to have a "mousey odor." I have seen that term before but, even after years of working in pet stores, I couldn't quite picture what a mousey odor would be like. Urine perhaps? Then I realized something. That strange odor was still present in and around the plant shelf. Could this be what I was smelling? I carefully picked up the plant and gave it a sniff. Yep! There is was. I still don't think of mice when I smell it but I can see how such descriptive terms could be applied. Regardless, my introduction to this wonderful little plant has made it all the more interesting. This is one of the main reasons I keep house plants. My collection is my own little botanical garden that I fill with species that capture my imagination.